Okay, so I saw on various social media outlets that Oreo was releasing something called The Most Stuf Oreos. I knew immediately I had to try it out. I love to try all the new flavors. 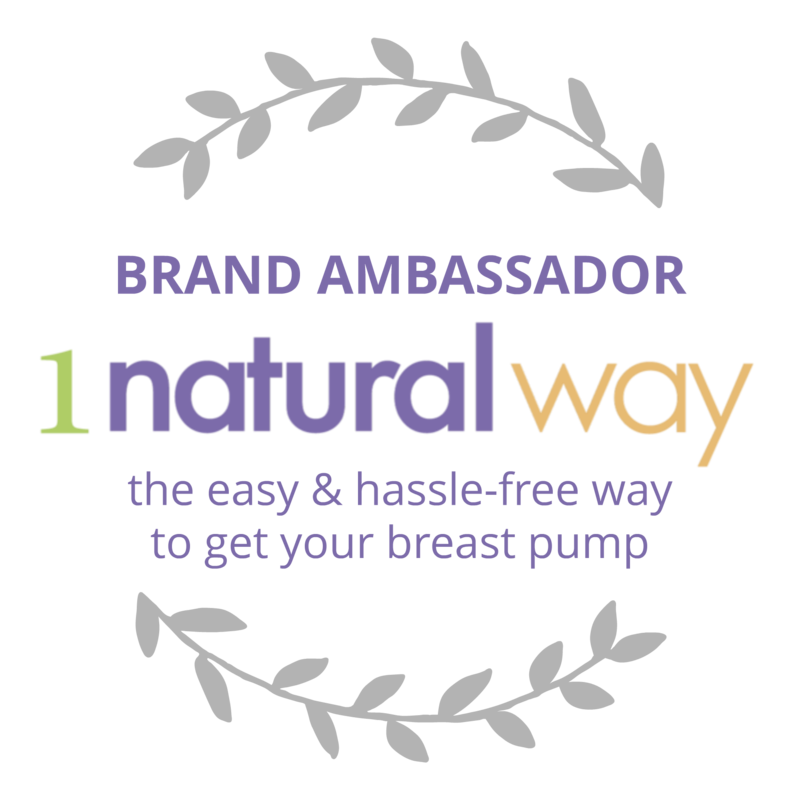 I usually will share on my Facebook, Twitter, and Instagram pages. People were saying you could buy the cookies at Rite Aid, which is a problem for me, because I don't have one nearby. But then people were saying they were finding them at Walmart or Target. I went to Target without any luck. Then I went to Walmart and again, no cookies. I was frustrated at this point. I just wanted to try them! I asked a worker and frightened her by accident. "Do you guys have the Oreos with all the creme?" I asked her. She blinked at me like I was speaking Farsi. "The Oreos are in the cookie aisle," she finally answered. I nodded. "I know. I saw them. But there's no Oreos with all the creme." Her eyes darted around everywhere. Seriously, she was behaving like I was asking for something illegal, like crack. "I think they're called The Most Stuf," I added. She shook her head. Shrugged. "I guess we don't have them." I wanted to ask if she could check in the back, but the poor thing looked petrified, so I thanked her and moved on. She probably rushed off and told her friends, "This crazy lady was asking about Oreos with a bunch of creme." I don't know. Maybe she was on the Keto diet and talking about things she can't have frightens her. "Yes!" I said, grabbing a package. Nearby a woman was talking to a friend and saying something like, "Seriously, these cookies sound gross. No wonder America is so fat." So I pointedly grabbed two packages, put them in my cart, and walked boldly past. So are the cookies as good as they sound? Basically, if you like regular Oreos, you'll like these. The creme is massive. To me it seems like they took two Double Stuf cremes, mashed them together, and stuck them on this cookie. A warning though: since there is so much creme, when you bite into it, the cookie sort of collapses. So if you want to eat this around a new love interest, you won't look demure. Would I buy these cookies again? 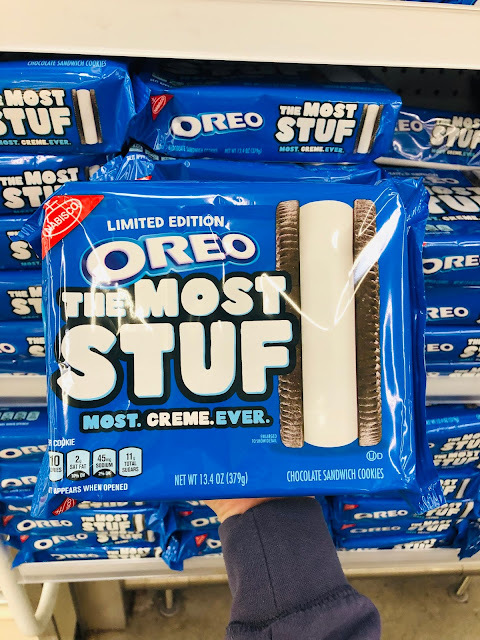 Have you tried The Most Stuf Oreos yet? Haha, I LOVE how you put two packets in your cart after that comment. Good for you. Enjoy these delicious cookies! Well now I have to go on a quest for them, too! Lucky for me I have a Rite Aide right up the street, so I am going today!! My little granddaughter only eats the center out of the oreos and hands the cookie part to her brother to eat. She will love this stuffed oreos the more filling the better. I haven't tried them yet but I've been hearing all about them. I love that you grabbed two packages and strutted your stuff. My favorite part of Oreos was always the center! Good to know that they have these product options now. I have not seen these as of yet but the minute I find them I am totally getting them. The middle is the best part of the Oreo cookie. So fluffy! I will have to put these on my next curbside order. I know my boys will go nuts! I picked up some of these yesterday. 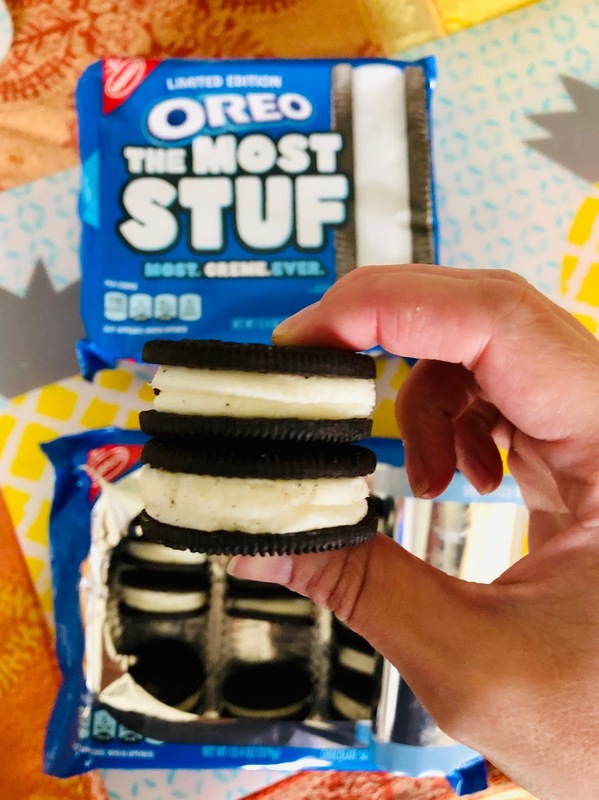 Just as I suspected, the Most Stuf is also the Most Awesome! Om nom nom. Yummy Oreos! How I love them! My younger brothers will always have some Oreos around...so I just had to love them too. STOP! I need to get some like asap ha they are one of my favorite desserts to snack on! Okay send them to Canada now please!! I am a big fan and just yesterday went shopping and came home from Loblaws with two bags of Oreos. What I love the most is seeing the new varieties always. It makes me happy to try new ones. These are my kind of cookie!! 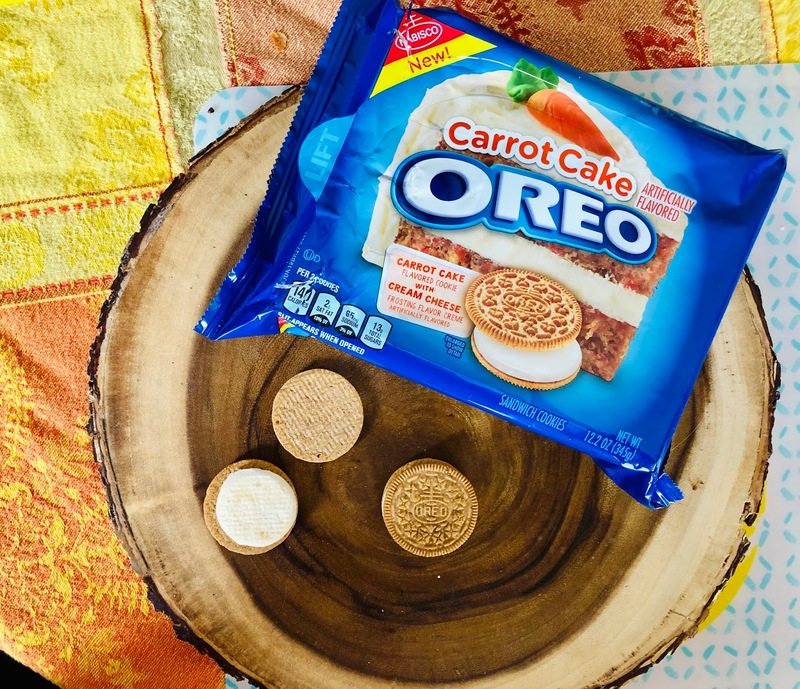 I did not know the carrot Oreos and this new wonderful world of cookies! Wow I want to try them! Oh dear Amber, I giggled all the way through your post. This would be something that my son would be crazy about. You should have grabbed 4 packs from the shelf (for extra emphasis) and post two of them to me. Lol!! I never even heard of carrot cake Oreos but I did watch Bon Appetite on YouTube with their version of Oreos (thanks to my son). Lol! 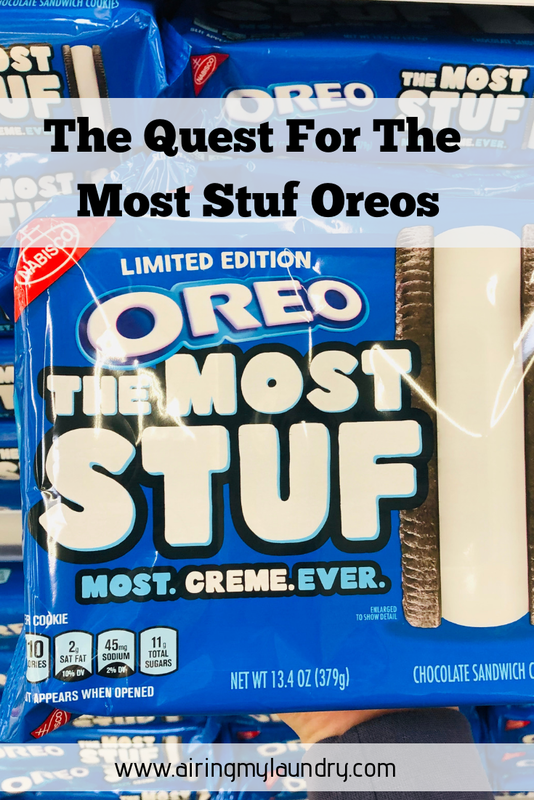 I am all about trying the unique Oreo flavors that they release. I have yet to find these, but I know it won't be long. I look forward to tasting them soon! My family has been wanting to try these. I have not had an Oreo cookie in a long time, this is one that I should look for. 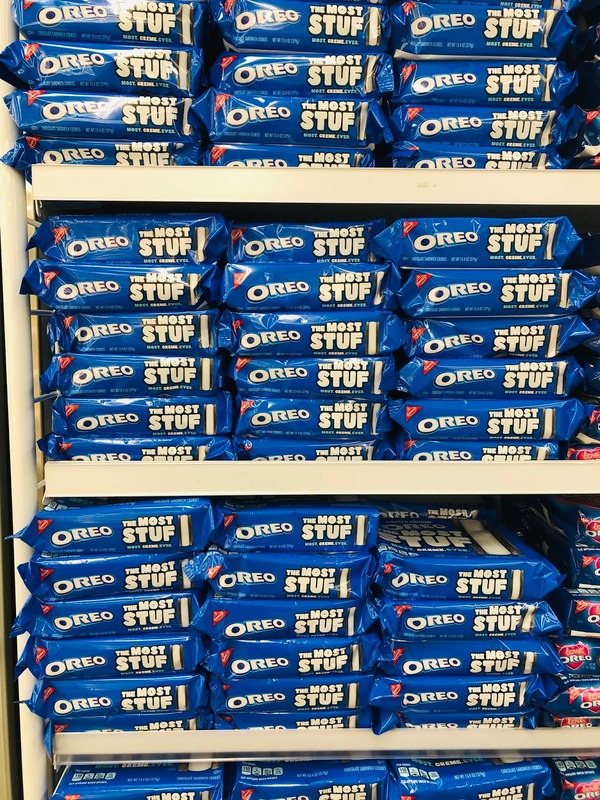 I haven't tried the Most Stuf Oreos yet. I don't think these would love a day in my home. This is a hilarious post. My favorite oreo is actually the vanilla ones. I probably won't try these because I'm the weird friend who likes the least amount of creme in my cookie. This is amazing cause I didn't even know that there was more than one kind of Oreos!! This makes me crave them! WOW - they seem to be bigger than usual. I haven't found these yet but I want to try them. The creme is the best part of the Oreo. Yes!!!! I found them at our local grocery store but haven't bought them. I need to. So I may be the only person that actually scrapes off the center and eats only the cookie lol. But my kids would LOVE these, because they are the opposite and prefer just the cream. I haven't tried them yet and I am jealous that you beat me to it. They look delicious. Did you feel like you were in a sugar coma afterwards? I need to find these cookies ASAP!! I'm going to Walmart today! Your daughter should get some modeling gigs, she's so good in projecting. My son love Orea's! Oh boy!! These would be great for a making oreo balls with the extra stuffing. Oreo just keeps innovating. Oh my goodness I have not seen these in the store. I have to buy them next time shopping !! I haven't seen these yet, but when I do, I am buying them. They are my husband's love language. I'd give anything to find these most stuff oreos! They look absolutely delicious! I wonder if I'll find them in our local markets. Gotta check it out. Thanks for introducing these to us!! 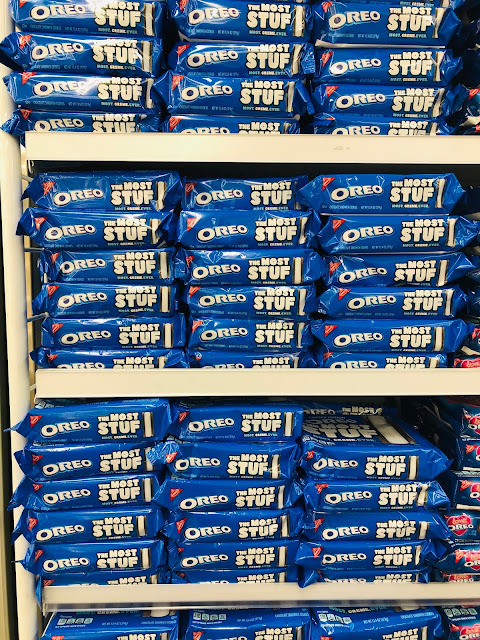 The stuffed Oreos look so tempting to me even and I would easily buy hundreds of those packets. Omg, omg , omg !! I want this so much. I live in the UK and I haven`t seen these in here so far. I don`t know what I would love the most the carrot cake or the giant ones?